When did you first hear about ‘open access’? What was your first reaction, do you remember? To be frank, I cannot quite remember when I heard about the open access. Maybe in some research papers, because I read a lot of literature about science communication, and open access also is a topic in science communication as it could make the access to research results more convenient and cheaper, even free. Researchers could paste their results on a specific webpage and their peers and readers could get that download for free. It enlarges the influence of the research results, letting the public easily know where their money are spent and what the results they could get from that. When I heard about that term, I fully supported this idea, for the traditional publishing processes are too long and too complex. Only a few peer reviewers could examine the research results before the decision of publishing it or not, but the process itself has some weaknesses which sometimes could not promise the best research gets the proper treatment, but also that some faked research may be accepted. That is a waste of resources, including time, money, pages and personnel. And the open access could shorten the time span of publishing, and the research results could be judged by everyone, to some extent. The problems with the current publishing system is that the process is too complex and too long. Often the peer reviewers may not qualified, but I do not mean all of them are not qualified, rather I mean some of them. For example, if your research field is the front-edge of some area, then your break-through discoveries may not be fully understood by your peers. On the other hand, due to the evaluation system researchers are all eager to publish their results on top journals, that is to say, Science, Nature, Cell, etc. This makes publishing a research paper in that kind of journal more and more difficult, for they may have a new pile of papers every day. And the ordinary or general level journals then have difficulties in attracting excellent papers. How have nationwide open access policies in China influenced your role as a researcher? Open access should be a trend all over the world as it benefits not only researcher themselves, but the public at large. And as a researcher, I welcome this trend, and also as a science communication researcher, I hope to find some interesting phenomenon during its development, so that I could carry out some science communication research on this topic. What is the relationship between open access and research quality, in your experience? Even the traditional publishing process has some weakness and being criticized, but it still has its own merit, such as quality control, generally speaking. At least some research results should be examined by some experts before publishing, and that is one of the reasons of researcher seeking to publish their results on journals, I think. When it comes to open access, it should have some mechanisms of guaranteeing that any faked results should not be visible or be uploaded on the web. At least, open access still could not fully replace traditional publishing in my perspective. But the open access journals also increase their influence and importance in publishing recent years, such as PLOS One and via ResearchGate. For the long run, open access could promote the research quality, for more and more researchers would embrace this trend and they could together decide whether a paper being uploaded at an open access journal is valuable or not based on their professional expertise. Researchers could together decide whether a paper being uploaded at an open access journal is valuable or not based on their professional expertise. What role do the ‘big publishers’ like Elsevier, Taylor and Francis, SpringerNature, and Wiley play for researchers in China? Time will tell, as the big publishers all have a long history in publishing and so their influences are not started from scratch. I think every researcher here has heard of at least one of the big publishers, which is also one indicator of their influence on our researchers. As some research shows, they control most of the publishing business and form tycoons. ‘Publish or perish’ is a famous phrase widely spread among researchers, and here the “publish” nearly means for giant publishers’ journals, as only in this can a researcher draw much attention from their peers. Do you think Open Access can spark more international collaborations? Have you experienced this yourself at all? Of course, the open access movement could accelerate more international collaboration, as researchers from all over the world could share their research, including but not limited to data too. Do you think language is a barrier to global research and collaboration? To date, language is still one barrier to global research, especially as English still is the dominant one in science research and publishing, which is also one of the reasons we need to learn English, I think. But with the development of new technologies, this barrier could be overcome. For example, some device could function as the interpreter between researchers from different regions and nations. To be frank, some researchers here are excellent in doing their own work, but what they lack is language skill, and by that I mean in English writing. I am hoping that the open access movement would help to overcome this phenomenon in future. What are the possible solutions to language barriers in research and publishing? In my opinion, some possible solutions are on horizon, but need more cooperation between researchers. Seeking common ground is basic for researchers all over the world, including language. Seeking common ground is basic for researchers all over the world, including language. Whose responsibility do you think it is to catch issues to do with language? First, researchers themselves should keep in mind that language is a basic skill of communication, or else their ideas and discoveries could not be comprehended by their peers, let alone the public. Second, publishers may offer this kind of service of translating between languages, such as an open access journal in my field, Jcom, offer this kind of business for researchers. Here, the paper in any language could be uploaded and once accepted, the editorial department could do the translation work. Where do you see the future of scholarly publishing? And what steps do we need to take to get there? In the near future, open access could have a large lion share of the publishing, once they have mechanism of guaranteeing quality, accountability, and fairness. However, we need to enhance the awareness and acceptance of open access among researchers. And also, services for researchers and the public should be still kept in mind by the open access website or journals. Promoting their acceptance is very important for platforms such as ScienceOpen, for they are accustomed to the traditional publishing business, and resist changing. On the other hand, some proper training would be useful for them, supplying some packaged kits and guidelines. Furthermore, self-promotion is necessary, nowadays, as while open access platforms are thriving, many of them are not visible among researchers, except ones like PLOS One or ResearchGate. If you could give one piece of advice to a student wishing to start a research career, what would it be? First, have a full picture of the landscape of what you are going to do. You at least should understand who is at the top of your areas, where they are, what they are doing right now. Second, doing more literature review is very important, by which you can draw a historical picture of your field. And last but not the least is to establish your own research circle, getting in touch with some researchers and discussing with them frequently. That would be very useful for both of you! 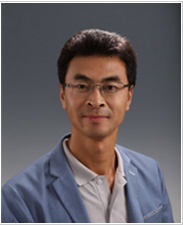 Mr. Wang Dapeng is a science communication researcher in charge of the China Research Institute for Science Popularization (CRISP), using new media to do science communication and building a platform for scientists and journalists. He is dedicated to the research of science and media interaction, and also is the key member of the program Scientists and Media: Face to Face, which was initiated by CAST from 2011 to 2014. He is active in science communication, organizing many activities for scientists and the media. He also is an active researcher and commentator in the field of science communication in China, introducing other countries’ science communication practices and theories to China. Since 2010, he has became a blogger, writing comments and articles on science communication. He works as a freelancer for newspapers and journals, publishing nearly 200 articles in them to date. 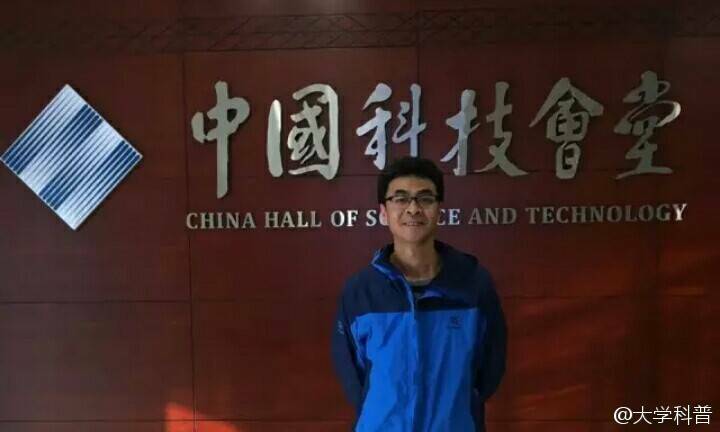 He has also participated in the program of translating the works of foreign science communication researchers, such as When Science Becomes Culture, The Handbook of Public Communication of Science and Technology, and The New Celebrity Scientist.